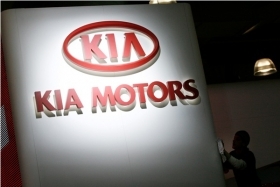 Kia Motors America signed a two-year extension of its sponsorship deal with the National Basketball Association through the league's 2011-2012 season. The deal also expands Kia's sponsorship of the NBA to make the brand the official automotive partner of NBA All-Star events and the NBA Cares charity. Kia will also be the title sponsor of the NBA All-Star MVP award, given to the most valuable player during the league's all-star game, Kia and the NBA said in a statement. Part of the deal includes two Kia-branded, two-hour NBA specials, called Countdown to NBA Tipoff, airing on ESPN in the run-up to the Oct. 26 start of the NBA's regular season. The redesigned 2011 Kia Optima will also be the official vehicle of the NBA for the season. A new NBA-themed ad introducing the 2011 Optima will also be aired. “Over the past three years our relationship with the NBA has significantly raised awareness and consideration for the Kia brand and exposed our exciting lineup of vehicles to basketball fans across the country,” Michael Sprague, Kia's U.S. marketing boss, said in a statement. The deal also renames the NBA's biggest end-of-season awards for individual players. The league's MVP, Most Improved Player, Sixth-Man of the Year and Defensive Player of the Year awards will now be called the “Kia NBA Performance Awards,” according to a joint statement issued by the NBA and Kia. Kia has been the NBA's automotive sponsor since 2008.